Producers, Songwriters, Composers and Performers. 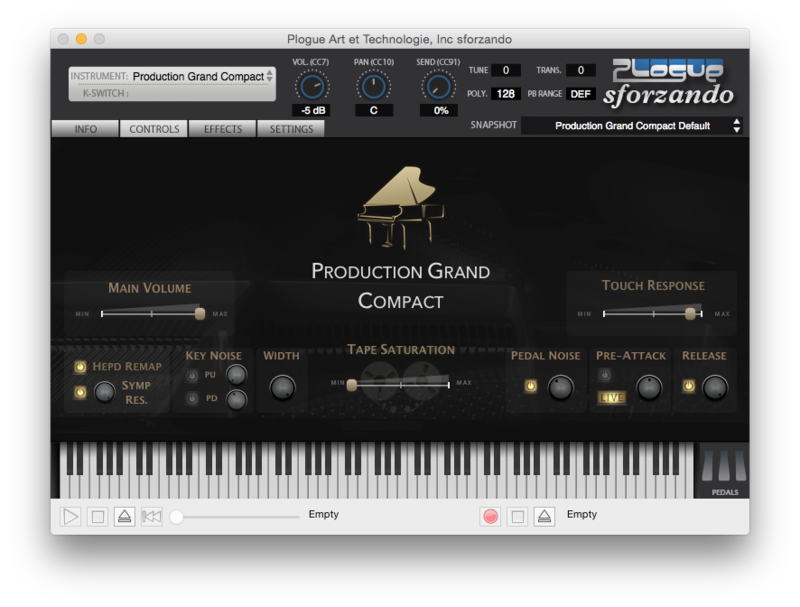 Plogue’s free sforzando player gives you access to most of Production Voices‘ virtual instrument piano libraries in an easy to use, fast loading interface! 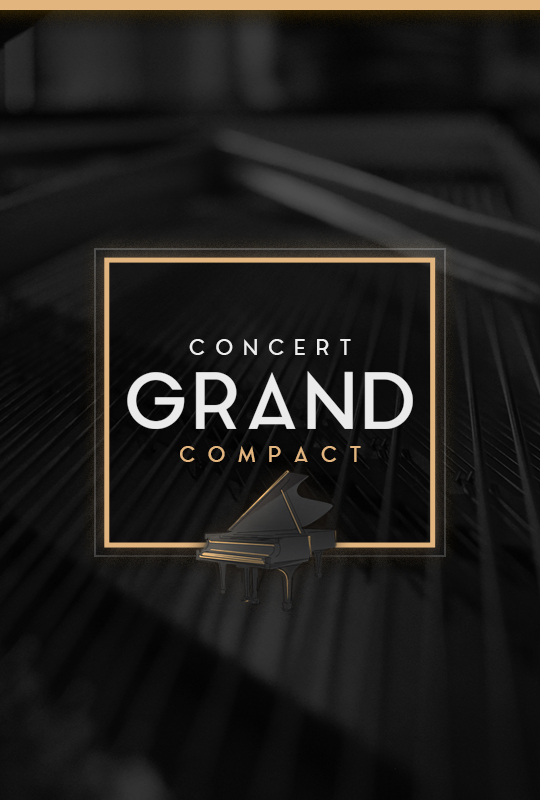 Concert Grand Compact is sampled from a Steinway D concert grand piano in a world-class recording studio. Death Piano for sforzando is full of reverse samples, lo-fi gritty goodness, synthesis shaped tones, morphed massacred sounds and more. 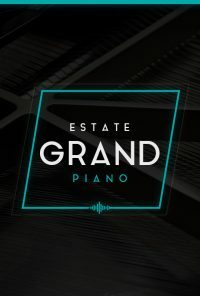 Estate Grand Piano is a beautifully sampled Kawai GS 60 6’9″ grand piano recorded with only the finest equipment at a country estate. 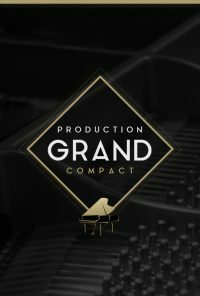 Production Grand Compact is sampled from a Yamaha C7 using Neumann M149 Tube Microphones just outside the piano. 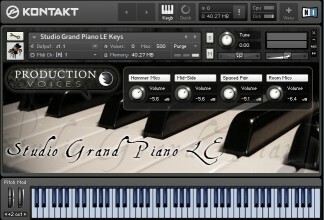 Kontakt is a great way to experience Production Voices’ virtual piano instruments if you already own Native Instruments Kontakt (full edition, not Player). 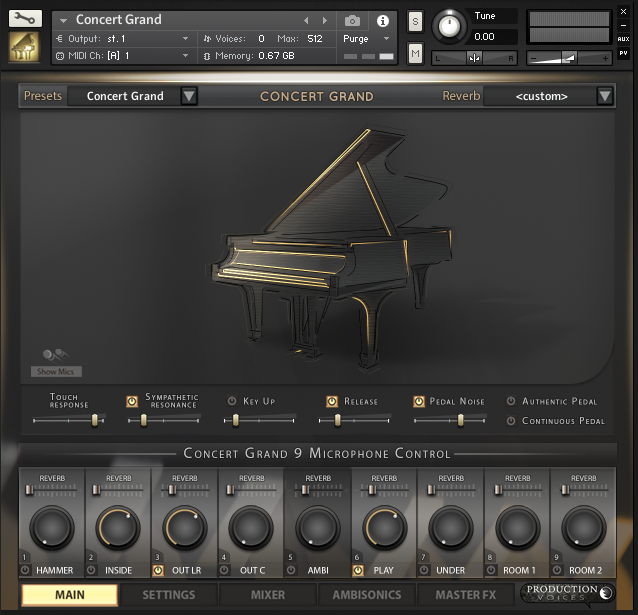 Concert Grand is a premium 1100 GB, 9 microphone piano sample library sampled from a Steinway D New York 9′ Concert Grand Piano built for the full version of Kontakt 5.8 and above (not for Kontakt Player). 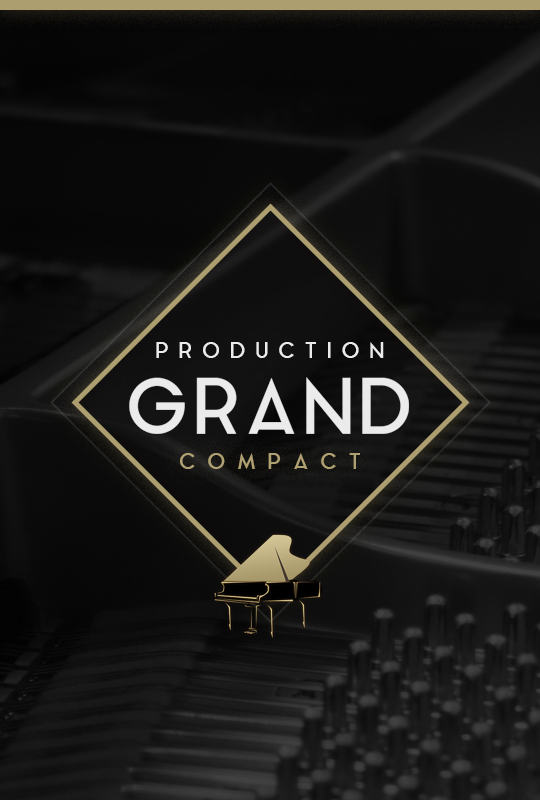 Concert Grand is available in four variations to suit the size and performance requirements of different users. Death Piano celebrates the obscure. Full of reverse samples, lo-fi gritty goodness, synthesis shaped tones, morphed massacred sounds and more. 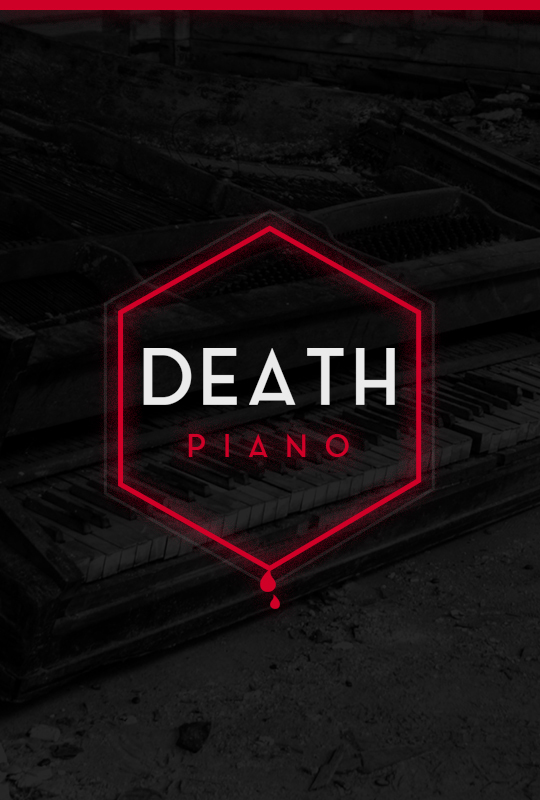 Death Piano is an inspiring collection of piano oddities that is sure to inspire film composers, pianists, songwriters, producers and more. 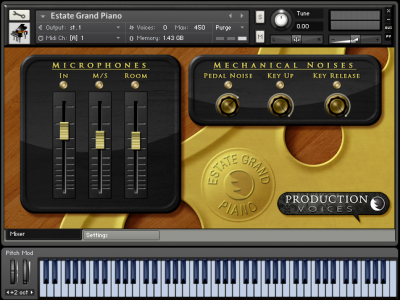 Estate Grand Piano is a beautifully sampled Kawai GS 60 6’9″ grand piano. It was recorded with care and only the finest equipment at a country estate in the heart of corn country in Southern Ontario Canada. 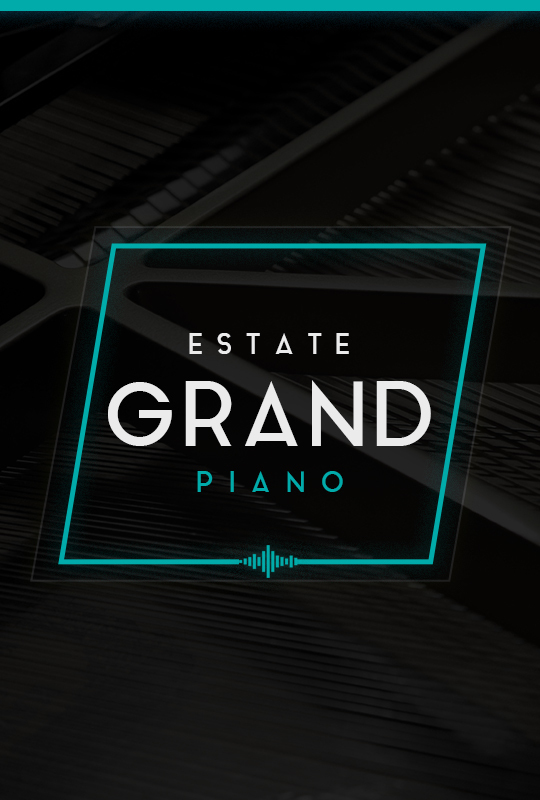 The LE version is the “Light Edition” of Estate Grand Piano. 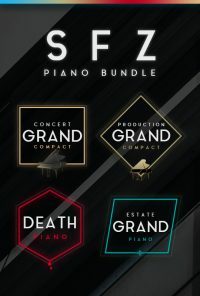 Production Grand 2 is an exceptionally high-quality piano sample library for NI Kontakt 5.6+, consisting of eight microphone perspectives and over 120,000 samples of a Yamaha C7 grand piano recorded in a world-class recording studio. The library is 437.5 GB in size before lossless compression! 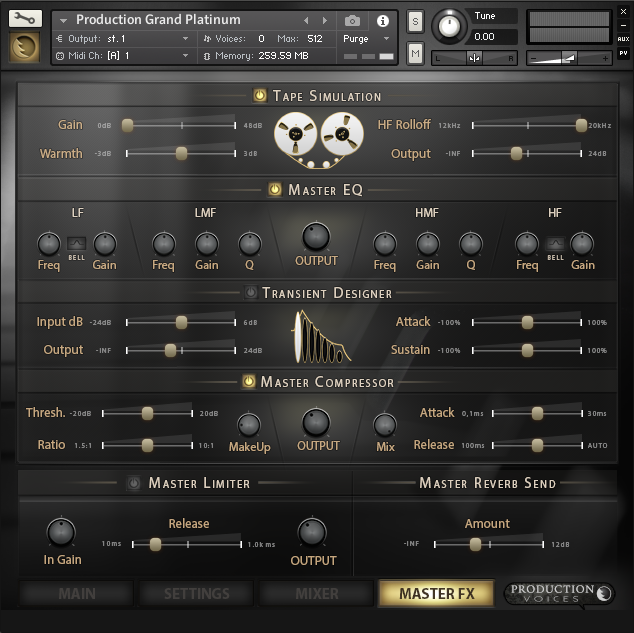 If you already own Native Instruments Kontakt (full edition, not Player), Kontakt is a great way to experience Production Voices’ virtual piano instruments. 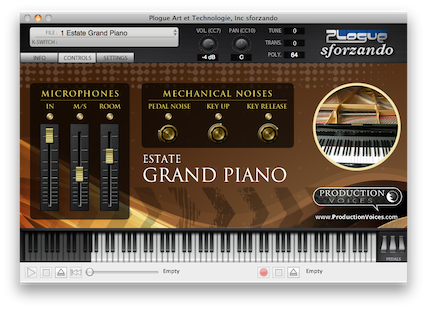 If you do not own Kontakt, Plogue’s free sforzando player gives you access to most of Production Voices‘ virtual instrument piano libraries in an easy to use, fast loading interface! Production Voices sample libraries and virtual instruments work with all major digital audio workstations including Logic Pro X, Cubase, Pro Tools, GarageBand, FL Studio, Ableton Live, Digital Performer, Sonar, Studio One and Reaper. 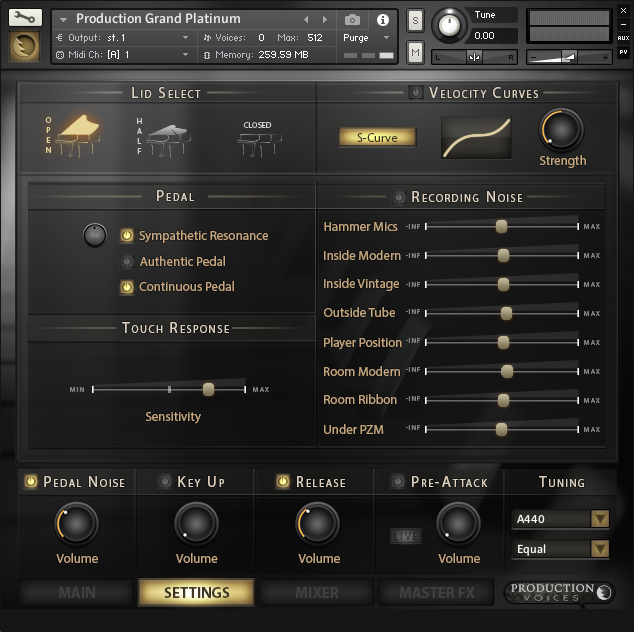 Production Voices libraries are formatted for either the full commercial version of Kontakt or Sforzando, both of which are standalone, VST, AU and AAX plugin compatible. Production Voices records piano sample libraries the way professional studios record pianos. The result is true production quality recordings from piano samples! We use only the finest microphones and equipment to create our piano samples. These include B&K, Neumann, Rode, AKG, Coles microphones and Apogee Symphony I/O. Our piano libraries have multi-microphone control and some have additional features such as true hammer noise, pedal noise and more! Experience the difference multiple microphone piano samples make on your productions and performances. Estate Grand. Piano character that cuts through on stage and on record! $79. Formats: Kontakt or the free Plogue Sforzando. No Kontakt needed! 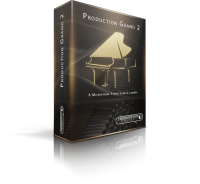 Production Grand 2. 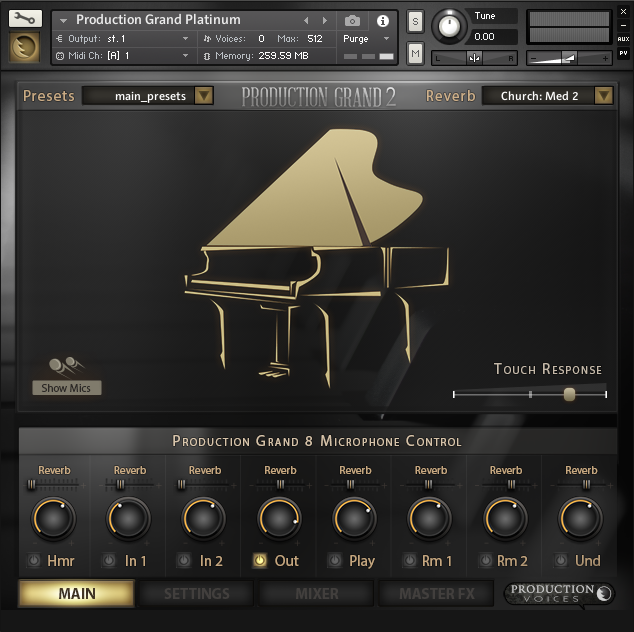 Premium sampled piano with 8 microphone perspectives. $329. 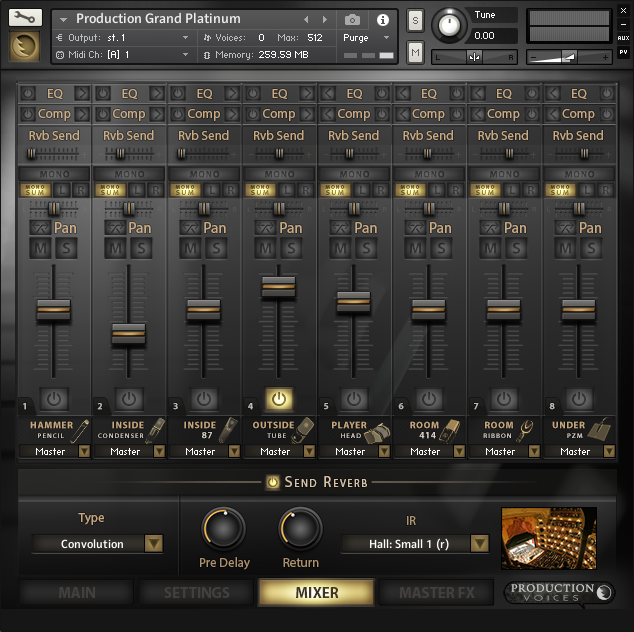 Instead of sifting through piano presets only to settle on ok, dial in your piano sound with the precision of a producer or professional audio engineer. 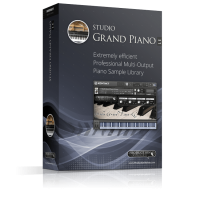 The result is exceptionally better piano sounds that blend into your productions, songs and sets.